Recent enlargement to the east made the European Union a more diverse social space and brought it into more direct contact with the social and cultural aftermath of communism. 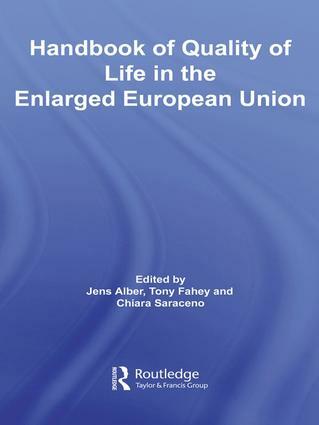 The purpose of this book is to help social scientists, policy makers and other observers cope with the unfamiliarity of this new world by bringing together a collection of informative analyses of key domains of social life in the new member states and candidate countries, viewed in comparison both to each other and to the 'old' EU-15. The focus is on social conditions, such as social exclusion, poverty and living conditions, work and labour markets, family and housing. But is also offers accounts of the institutional contexts within which these conditions arise. The analyses makes use of a range of data, including a new data source, the European Quality of Life Survey 2003.